With a promotion in the offering and his beautiful wife Nena at his side, things couldn’t be better for ambitious policeman Hector Mariscal. 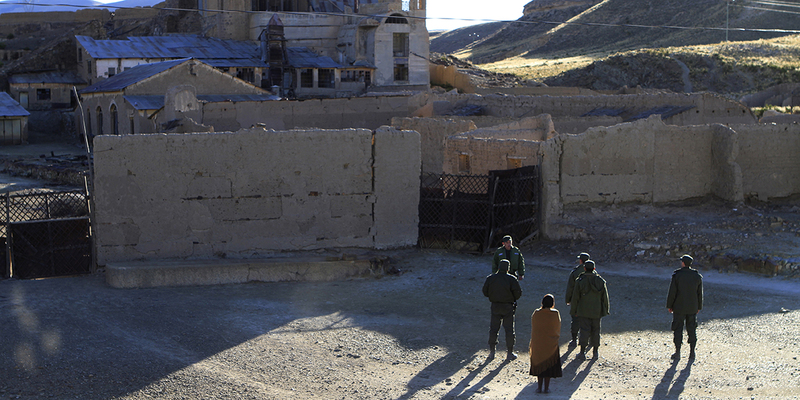 Before he can enjoy the good life, though, a final, top-secret assignment must be carried out: to transport-by rail-a highly toxic cargo across Bolivia’s high desert backcountry and “dispose” of it in a remote indigenous village. With kind engineer Klinger guiding his beloved steam locomotive Federica, and presented with a crew of hapless cops and an unexpected young stowaway, Mariscal finds that there’s much more on the line than he imagined in this sharp, energetic satire. 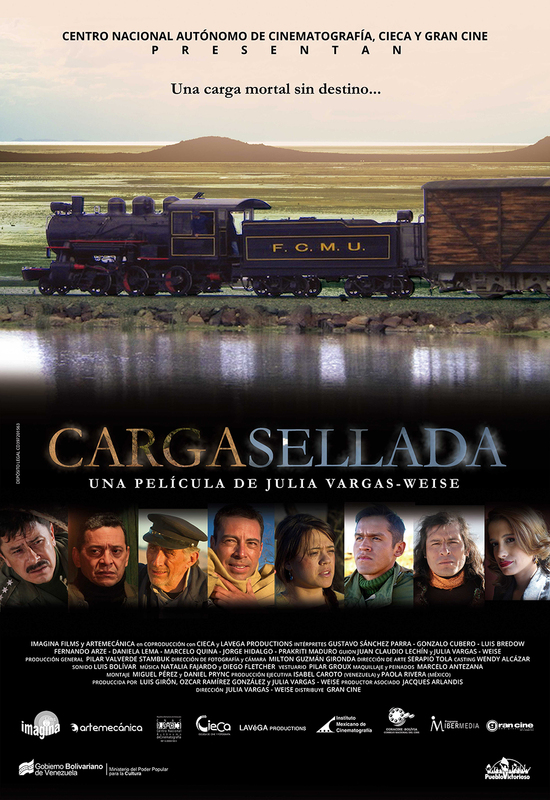 Bolivia’s official entry for Best Foreign Language Film at this year’s Academy Awards®, Julia Vargas-Weise’s third feature is a lively rejoinder to that country’s status as a dumping ground for the world’s industrial waste. 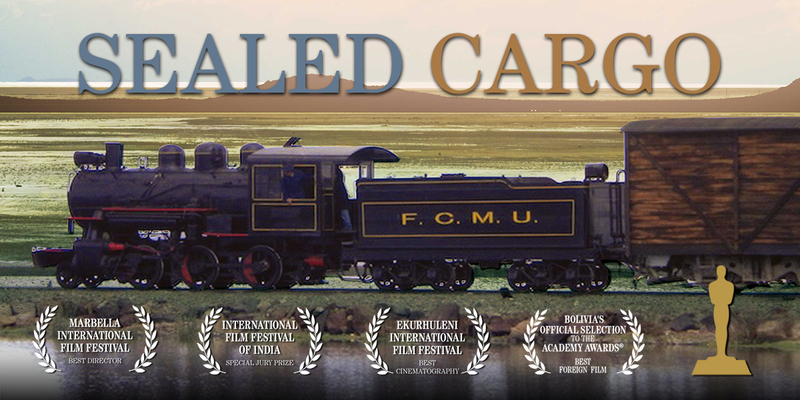 Rich in symbolism and in spirit, Sealed Cargo is a terrific ride through the seldom-seen Altiplano and a potent reminder of what really matters. Contact us at info@pragda.com for festival bookings. The traffic of toxic waste to poor countries converted in garbage countries, is a fact that should concerns us all. It is not only an ecological issue, but also a political one. This story based on true events from the nineties has not lost validity. On the contrary, it is more and more relevant. The film intends to make a statement about the scarce conscience of the generators of toxic waste on their consequences in the life of simple and powerless people. 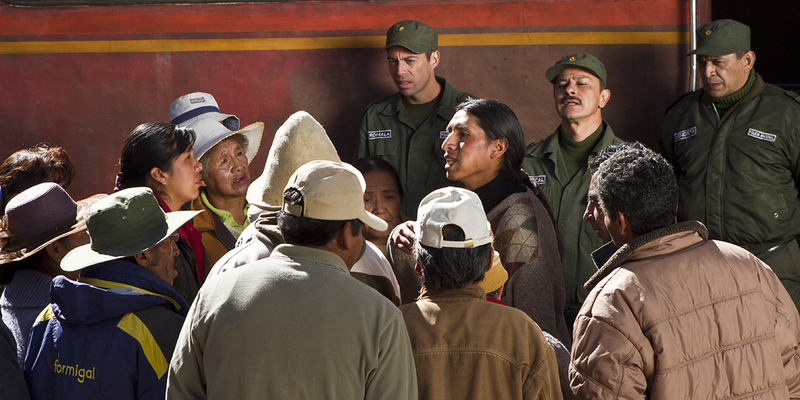 Also of the struggle for preservation of the Earth, so important in Andean culture. Sealed Cargo tells a human story, one of common people caught in a situation beyond their control, abandoned to their fate and faced with their personal struggles. It is told in a very personal way, from inside a culture. It describes the closed world of the characters, and the outside world where events take place, changing their fates. A metaphoric Guardian of the Earth, represents the people. The film’s visual and sound treatment is sober, emphasizing the magnificent landscapes of the Andean Bolivia that as a photographer for decades, I know very well. It has been shot at an altitude of 12,000 feet with real villagers participating as non-professional extras.